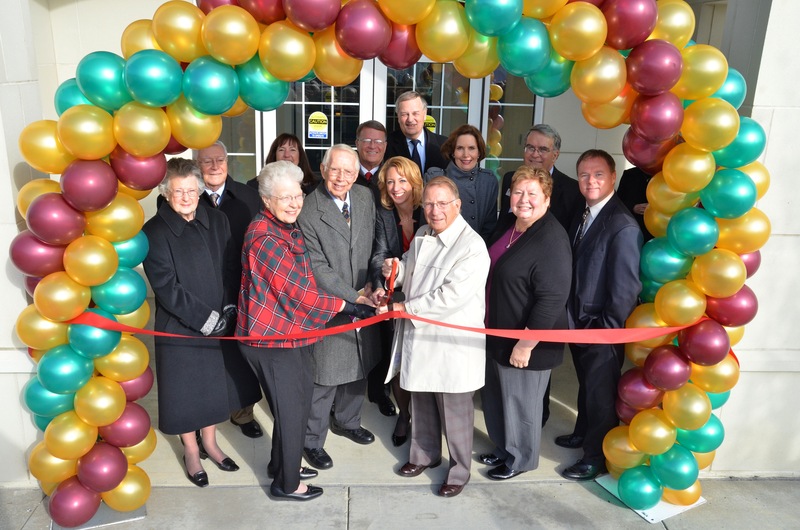 The two were among a large crowd who attended Wednesday’s dedication and grand opening of the Otterbein Lebanon Life Enrichment Center (LEC). Exuding excitement during the ceremony, Otterbein Lebanon Vice President Jason Miller wondered aloud who would be first in the mad rush for the warm-water pool at 5 a.m. Monday. Several people raised their hands and smiled. Remarking on the partnership with the Ralph J. Stolle Countryside YMCA, Miller said the LEC will further socialization, lifelong learning and enhance and further the missions of Otterbein and the YMCA. The center will be operated by the Countryside YMCA for Otterbein residents and non-residents. The LEC also includes 24 beautiful apartments, 22 of which have been pre-sold, which occupy the top three floors of the five-story building. Residents will enjoy a completely maintenance-free lifestyle in a brand-new, spacious, comfortable apartment home with all the most up-to-date finishes and appliances. The LEC features a tremendous collection of services and amenities, including a coffee shop, fitness center, indoor warm water pool, woodshop, therapy spa, indoor walking track and more. Miller thanked the teams of people who worked on the LEC, citing countless hours and tireless work done by all of them. Leading those gathered in an invocation, Rev. George Phillips said this new building ministers to the mind, body and spirit. Countryside YMCA CEO Mike Carroll said a vision on the LEC and the future of Otterbein has come up time and time again. Generous donors and faithful prayers undergirded determination and purpose to make this vision a reality and Barbara Patterson knows residents will show their appreciation by taking full advantage. Introducing Donna Coleman, vice president of charitable gift planning, Carroll mentioned the “phenomenal fundraising” effort she led which enabled the LEC’s success. The capital campaign for the LEC exceeded its $3 million goal by nearly $400,000. There were 21 donations of at least $25,000. Eight of those were of $50,000, including $500,000 from the James M. Cox Jr. Foundation. Jack Hedges, chair of the Otterbein Lebanon board of directors, commended the great effort and commitment of those who worked on the project, and specifically thanked the residents. “You are greatly appreciated. You are the Spirit of Otterbein,” he said. Guests toured the building, enjoying refreshments and entertainment in the various rooms including a harpist and a steel drummer. Use of the LEC will be limited to residents for its first 90 days, after which community usage information will be posted. To learn more about Otterbein Senior Lifestyle Choices, please visit www.otterbein.org or call (513) 933-5471. Otterbein Senior Lifestyle Choices, founded in 1912, is a non-profit health and human service ministry, serving nearly 2,000 people, and is related to the East Ohio and West Ohio Conferences of the United Methodist Church. Otterbein has five full-service retirement communities, five skilled nursing and rehabilitation neighborhoods and a home health agency.